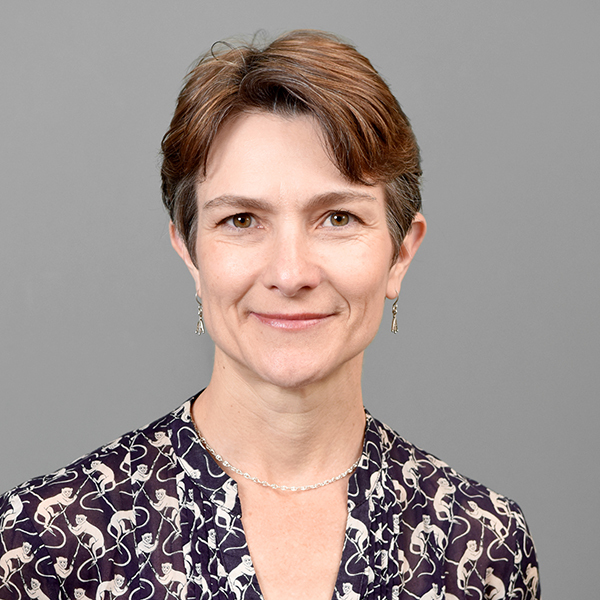 Hallie Eakin is a professor in the School of Sustainability and affiliated professor in the School of Urban Planning and Geographical Sciences and the School for the Future of Innovation in Society. Professor Eakin's research interests include household vulnerability and the sustainability of adaptations to global change, social-ecological resilience and integration of risk into development planning, the governance of telecoupled systems, rural development, sustainable food systems, agricultural change and food sovereignty. Dr. Eakin’s research and collaborations have focused in Mexico, Latin America and the American Southwest. At ASU, she teaches Food System Sustainability and Adaptation, Resilience and Transformation, and Sustainable Food and Farms. She acquired her PhD in geography from the University of Arizona and she completed postdoctoral fellowships at the U.S.-Mexican Studies Center, University of California-San Diego (2002) and the Centro de Ciencias de la Atmósfera, Universidad Nacional Autónoma de México (2003-2005). She joined ASU in 2008 from the University of California-Santa Barbara. Eakin, H. 2006. Weathering Risk in Rural Mexico: Climatic, Economic and Institutional Change. University of Arizona Press. Tucson, AZ. ISBN: 978-0816533589. Bausch, J. C., H. Eakin and A. M. Lerner. 2018. Adaptation for whom to what? Challenges and opportunities in agriculture-urban collaboration for climate change adaptation. Pp. 299-324 In: Hughes, S., E. K. Chu and S. G. Mason eds., Climate Change in Cities: Innovations in Multi-Level Governance. Springer International Publishing. ISBN: 978-3-319-65003-6. Eakin, H., R. DeFries, S. Kerr, E. F. Lambin, J. Liu, P. J. Marcotullio, P. Messerli, A. Reenberg, X. Rueda, S. R. Swaffield, B. Wicke and K. Zimmerer. 2014. Significance of telecoupling for exploration of (sustainable) land use change. Pp. 141-162 In: Seto, K. C. and A. Reenberg eds., Rethinking Global Land Use in an Urban Era. MIT Press. Cambridge. ISBN: 978-0-262-02690-1. Eakin, H., H. Morales, E. Castellanos, G. Cruz-Bello and J. Francisco Barrera. 2013. Coffee, disasters and social-ecological resileince in Guatemala and Chiapas, Mexico. Pp. 174-180 In: Boulter, S., J. Palutikof, D. J. Karoly and D. Guitart eds., Natural Disasters and Adaptations to Climate Change. Cambridge University Press. New York, NY. ISBN: 978-1107010161. Lemos, M. C., A. Agrawal, H. Eakin, D. R. Nelson, N. Engle and O. Johns. 2013. Building adaptive capacity to climate change in less developed countries. Pp. 437-457 In: Asrar, G. R. and J. W. Hurrell eds., Climate Science for Serving Society: Research, Modeling and Prediction Priorities. Springer. ISBN: 978-9400766914. Bojorquez-Tapia, L. A. and H. Eakin. 2012. Conflict and collaboration in defining the "desired state": The case of Cozumel, Mexico. Pp. 153-176 Collaborative Reslience: Moving through Crisis to Opportunity. Massachusetts Insitute of Technology Press. ISBN: 978-0262516457. Eakin, H., E. L. Tompkins, D. Nelson and J. M. Anderies. 2009. Hidden costs and disparate uncertainties: Trade-offs involved in approaches to climate policy. Pp. 212-226 In: Adger, W., I. Lorenzoni and K. O'Brien eds., Adapting to Climate Change: Thresholds, Values, Governances. Cambridge University Press. Eakin, H., M. Webbe, C. Avila, G. Sanchez Torres, L. Bojórquez-Tapia and J. Pulhin. 2008. Social vulnerability of farmers in Mexico and Argentina. Pp. 257-278 In: Leary, N., C. Conde, J. Kulkarni and A. Nyong eds., Climate Change and Vulnerability. Earthscan. London. ISBN: 978-1-84407-469-3. Bausch, J. C., J. P. Connors and H. Eakin. 2012. Half full? Buffering Central Arizona farmers from signals of environmental change. Poster presented on April 25, 2012 at the Decision Center for a Desert City Annual Poster Symposium, Arizona State University, Tempe, AZ. Bausch, J. C., J. P. Connors and H. Eakin. 2012. Half full? : Buffering Central Arizona farmers from signals of environmental change. Poster presented February 19, 2012 at the AAAS Annual Meeting, Vancouver, BC, Canada, February 16-20, 2012. Bausch, J. C., H. Eakin and L. Bojórquez-Tapia. 2010. Maize monoculture and environmental sustainability: Assessing the case of Sinaloa, Mexico. Poster presented at the 23 September 2010 International Interdisciplinary Conference on the Environment. Eakin, H. 2014. Agency, institutions and development trajectories: Transforming irrigated agriculture in the urbanizing SW United States. Presentation at the Resilience 2014, Resilience and Development: Mobilizing for Transformation, May 4-8, 2014, Montpellier, France. Eakin, H. 2014. Expectations of obsolescence and the adaptive capacity of irrigated agriculture in central Arizona. Presentation at the Rutgers University Geography Speaker Series and Rutgers Climate Institute, February 7, 2014, New Brunswick, NJ. Eakin, H., D. R. Nelson and M. C. Lemos. 2013. Pathways to sustainable adaptive development in an era of climate change. Presentation at the Transformation in a Changing Climate International Conference, June 19-21, 2013, Oslo, Norway. Eakin, H., J. C. Bausch, S. Sweeney and K. Appendini. 2010. Shifting geographies of food security: The rise of irrigated maize in Sinaloa, Mexico. Presentation for the Global Land Project, October 18, 2010.